Short stories by each of these three have appeared in Lilith. 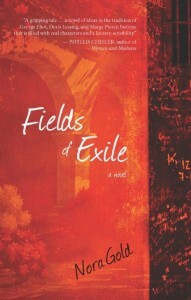 Fields of Exile by Nora Gold (Dundurn, $24.99) tells the story of Judith, a 32-year-old Canadian who returns home from the life she has made for herself in Israel in order to care for her ailing father. When he dies, she is eager to go back. But he had begged her before his death to go back to graduate school, so she enrolls in a local social work program. Within this seemingly safe academic oasis, Judith’s world is rocked. In Israel, she had been a peace activist, and identified with left-wing politics there. But her new intellectual community is openly hostile to Israel, and suddenly everything she cherishes is threatened when she learns that the keynote speaker for Anti-Oppression Day supports attacks not only on Israeli military targets, but also on Israeli civilians and on Jews worldwide. By the close of this provocative, insightful novel, we, like Judith, come to understand how vast the scope of exile can truly be. Shunned by the community for her mother’s transgression, Barbara forges an entirely different life for herself. But years later, when the rebbetzin from her childhood asks her to come back to help perform the ritual burial washing of a beloved teacher, she’s pulled back to that tumultuous time. She can either ignore the summons or find the strength to confront the past, reach out to her estranged mother, and redirect the course of her own family’s future. 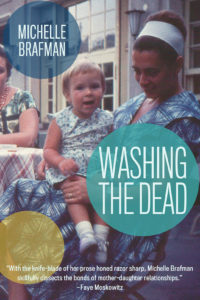 How she goes about it is the substance of this beautifully wrought novel, one in which Brafman examines the inner lives of her characters with the dexterity of a surgeon and the compassion of a saint. Finally, Eve gets credit for naming — at least some body parts. And there’s much more, compactly told in this title story. She mourns the death of her son Abel, and though she has seen animals die, this is, movingly, her first understanding of human mortality. 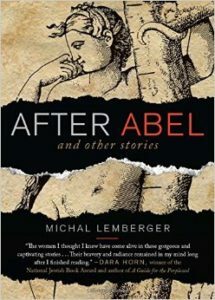 The story in this collection about Lot’s wife (who gets her own name in this telling) originally appeared in Lilith. The others are all new, and each a gem. Yona Zeldis McDonough’s sixth novel, You Were Meant for Me, was published by New American Library in 2014. She is Lilith’s fiction editor.